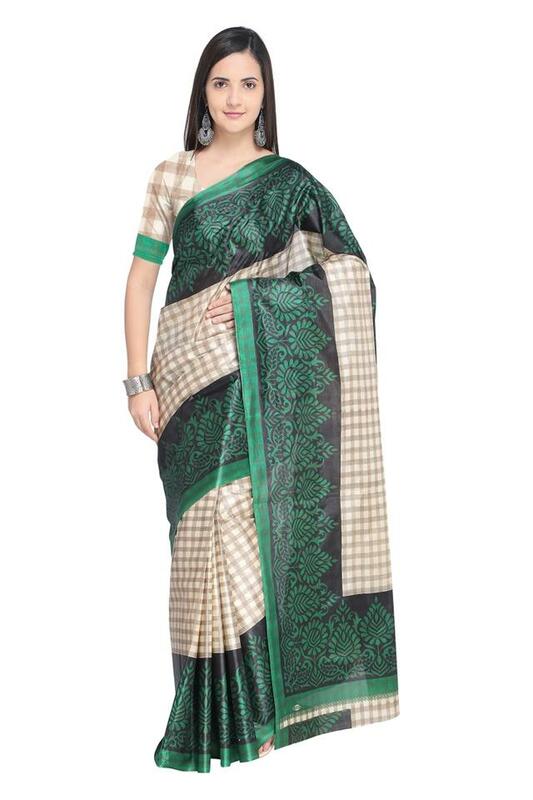 Fetch compliments for your fine choice by wearing this saree brought to you by De Marca. It features a checked pattern that lends it a classy look. Furthermore, the use of art silk fabric promises to keep you at ease all through the day.